Subiect: Rescue excavations at Pantelimon (2004) In the autumn of 2004 rescue excavations were carried out in Pantelimon, near Bucharest, on the place called "Liziera Pădurii" (no.1O on the plan on pl. I). Eight sections ( of constant breadth: 2 m, and variable length: 56 - 70 1n), and four smaller additional surfaces were excavated. A previously unknown site, with remains from the Bronze Age, Iron Age (Hallstatt and Latene ), 3rd - 4th c., 6th - ?1h c., 10th -11th c. and 19th c., was thus identified. During the centuries, each newer occupation as well as contemporary activities (planting of a vineyard etc.) disturbed earlier layers, so that only features from the 3rd- 4th c., 10th-11th, and 19th c. were somewhat better preserved. The rest of the material was collected from a homogeneous layer, with no obvious markers of walking levels. (Gh. M.-A.). The prehistoric material Two complete vessels, other 59 potsherds stemming from 28 pots, and a flint tool were recovered during a rescue excavation. The ceramics was found in a stratigraphically undifferentiated layer, at a depth of - 0.35-0. 70 m, under the roots of a vineyard. The presence of prehistoric material above houses of much later periods (3-4thcentury, 6-7 the century, and 19th century) shows that the depth cannot be used for judgments upon chronology or associations. The pottery is highly fragmented. It belongs to several periods: late Iron Age (pl. I/7, 9); early Iron Age (Basarabi (?) pottery: pl. III/6; Novaci pottery: pl. III/7), latest period of the late Bronze Age (Zimnicea-Plovdiv pottery: pl. II; III/8), and earlier period of the late Bronze Age (Fundeni-Govora pottery: pl. 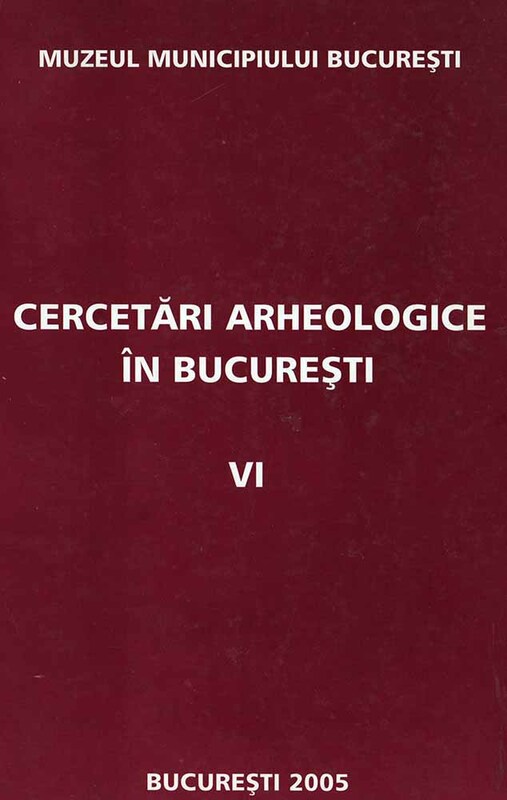 I/11; III/1 ), early or middle Bronze Age (pl. I/10; III/4 ). The flint tool (yellow-grayish: pl. III/2) might belong to each of these Bronze Age periods. There is no good explanation for the presence of these potsherds in this area. It is though interesting that no single animal bone was found, as well as no other kind of organic material (the earth was not specifically searched for seeds, but the excavator noticed neither seeds nor wood/charcoal during the excavation). Most archaeologists would overlook prehistoric sites, which appear to be too modest. By ignoring these signs of episodic human activities, our image of the past cannot but be distorted. This is why, excavating with due attention a similar but preferably better preserved site is not necessarily an unrewarding task. (N.P.). 3rd- 4th centuries The remains appear in four sections. The only feature, probably a house, was unfortunately damaged by the vineyard. Ceramics represents the only archaeological material: small fragments of bowls, jugs and jars, made on the fast wheel. There are also some hand-made jars. The dating relies mainly on bowls. 6th-7th centuries There is only a small number of sherds datable in the 6th-7th c. They were found among those from the 3rd - 4th c. The bulk of them were hand-made. The almost only pottery form represented is the jar. The dating is supported by a clay pan fragment, characteristic for this epoch. (A. M. ). 10th-11th centuries Archaeological finds from the so called "Dridu culture" have a scarce presence in the area. The units investigated were an open hearth, an earthen kiln and two waste pits. The kiln had two phases. The fact, that the Pit 1 cuts the kiln, points to a somewhat longer occupation of this site. The pottery, no more than 30 fragments, can be attributed to only one shape: the jar. The vessels, small and middle sized, are made on the slow wheel. Their typical decoration consists of horizontal lines, incised or grooved, single or grouped, covering the whole surface of the jars. The extremely low percentage of containers made of fine fabric and bearing a brushed decoration - of which only one fragment stems from the rim – allow the limiting of the dating to the second half of 10th- beginning of the11th C. 19th century The majority of the archaeological remains can be dated into the I 9th c. Five waste pits and five sunken buildings were explored. House 1 had an earthen oven, House 4 an open hearth. But for a bronze arrowhead, the archaeological material consists in a rich, mostly enameled, pottery. The settlement was burnt down. The inventory of the Houses l and 2 - five whole containers: a jar, two pitchers, two jugs -remained on the spot. This happened most probably during the events from 1821. (Gh. M-A. ).